Headquartered in Gothenburg, Sweden, automobile manufacturer Volvo is known for its preoccupation with safety and reliability. With the goal of making modern cars safer, it has, in recent years, developed advanced laser sensors that can accurately detect the movements of surrounding vehicles. To entice prospective buyers, the company has come up with an innovative way of demonstrating its latest technologies: using Microsoft’s HoloLens augmented reality (AR) system to create models of its cars in virtual reality. 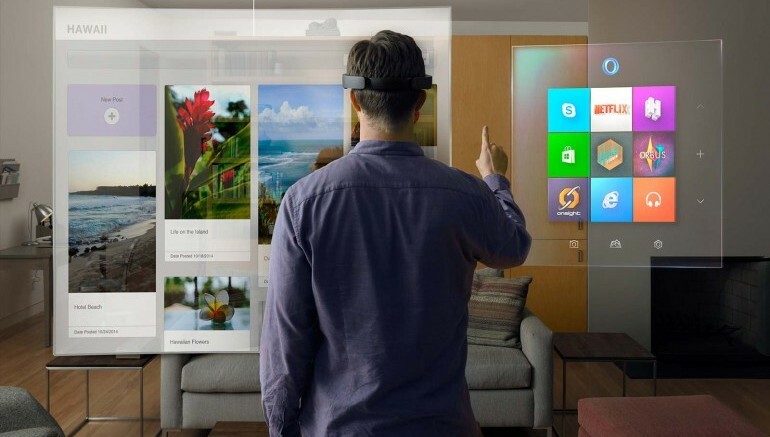 A few months back, we talked about HoloLens, Microsoft’s foray into AR technology, primarily intended to complement the Window 10 operating system. The innovators at Volvo has used this technology to envision an incredibly futuristic auto showroom that is devoid of actual cars. Once a buyer dons the necessary goggles, he or she is immediately transported to the world of virtual reality, containing holographic models of cars. The buyer can walk around these virtual recreations, witnessing the invisible systems and technologies that work together to make the car safer. As shown in the video, the car’s invisible sensor fields appear as neon-blue waves emanating from all of its sides. The engineers, from Volvo, are currently testing the system at Microsoft’s Redmond campus. Once fully developed, it could revolutionize the way cars are showcased and bought all over the world.